Bordered by Metro Vancouver to the west, and the Okanagan region to the east, the Fraser Valley offers a unique combination of country living and city style. Enjoy the quiet and peaceful surroundings of the Fraser Valley while being located just a short distance away from the bustling Vancouver city centre. 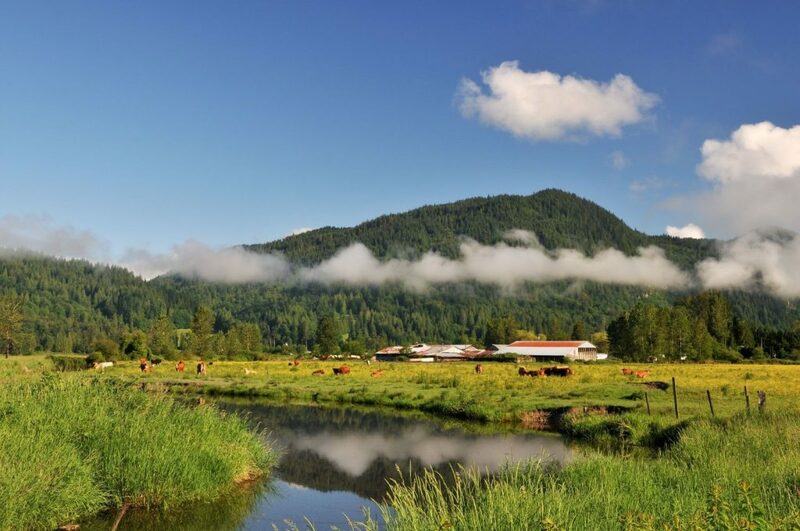 With some of the mildest climates in Canada and very affordable housing in comparison to Vancouver – Fraser Valley is perfect for those looking to live in a fast-growing and diverse community. Fraser Valley provides a beautiful natural environment with mountains, lakes and hiking trails – perfect for those interested in exploring the great outdoors. If outdoor recreation doesn’t pique your interest, the Fraser Valley is also home to many boutique shops, bakeries, locally owned restaurants and a vibrant arts scene. Many artists and artisans open their studios to the public on the weekends and, with significant development in housing and facilities, there has been an increase in opportunities for arts, culture and recreation. As an agricultural hub, you can enjoy the unique opportunities like Circle Farm tours, berry or orchard picking in the summer and the annual Abbotsford Tulip festival.